It feels as if I was in the 1930s beer hall in Bavaria. Spacious, boisterous atmosphere. Great Booze. Good Food. I imagined myself strolling into this beer hall after a tiring or stressful day at work and sitting down alone in front of the beer counter. I have with me a glass of red wine and a plate of the signature roasted black angus beef ($20). Mmm...this is life. A simple meal in solidarity but this is what I would like to do sometimes. The medium-done beef radiated in reddish pink glow, incredibly soft but not losing its meat texture. I took the second serving, dabbed it into the shoyu sauce, bits of freshly grated wasabi and it is another realm of enjoyment. Ginza Lion may be named after the most expensive district in Japan but the food and drinks follows anything but the rigid formalities of fine dining. Owned by the Sapporo Lion Group, it is first and foremost, a beer hall where diners can chill out in a cosy setting with the refreshing Sapporo beer and moreish bites. In fact, Japan's first beer hall (or probably world's first as the word "beer hall" is a word coined by the Japanese) is opened by Sapporo Lion in 1899 in Ginza, Tokyo. Perhaps being steeped in tradition, the folks here quite liberal with the rules so they allow people to smoke. Not sure if it sounds like a good deal to you but this more than a century old unagi-ya permits indoor smoking. This implies that a meal here might be ruined when a bunch of salarymen popped in and start to smoke before, during and after meal. Opened since Taisho period, this Unagi-Ya is said to be one of the most famous or perhaps respected shop in Kyoto. Since day 1 of the operation, they have been consistently grilling the eel over long charcoal and this process can still be observed through the kitchen window at level one. But I have reservations whether the unagi the food tasted better with longer history as the homemade tare (sauce) of the unagi here was slightly too diluted and the portions of the eel were meagre. This is relatively compared to Nodaiwa in Tokyo. Amidst the competitive Korean fried chicken scene in Singapore, FRESH chicken is no longer the key to success. Bring on the CHEESE, WHIPPED CREAM and the secret weapon--SWEET POTATO. 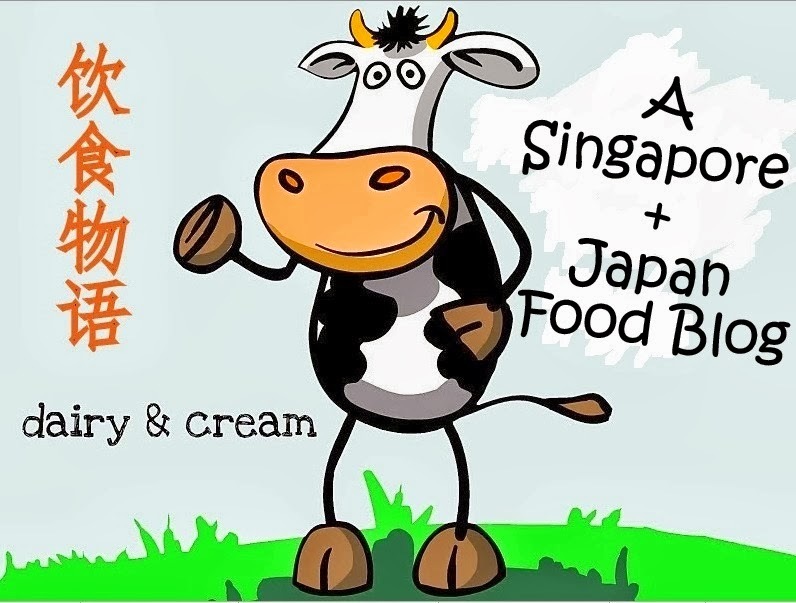 I wonder if it is due to Singaporeans love for all things creamy and cheese because there are several items of the menu that contains either cheese or cream. One good example is the Nest Snow ($32.90), a bizarre yet wonderfully tasty mountain of Cajun chicken tenders served in a bubbling hot plate of Parmesan, mozzarella and cheddar. To top it all off, a swirl of whipped cream and sprinkles of cheese shavings. But Chir Chir (pronounced chee-ru chee-ru) does not stop at that. It had secretly ambushed a lump of mash SWEET POTATO beneath the chickens. There was no way one could escape from the intense cheesy-ness of this dish, but the presence of something sweet pulled your senses back into shape. If this was spiced with Chilli flakes, I think I'll be weeping at its culinary blasphemy. The sight of this old lady selling tofu manju stopped me in my foot steps. I remembered that she was also selling tofu manju at this stall a few years ago but I forgot why I did not buy it. Nonetheless, I decided to buy it this time round after standing at a corner and observing the constant stream of customers at the stall. It's mischievous. It's quirky. It's gentle. It's unpredictable. Just like an unrestrained rabbit, that took a leap of faith and jump out from its hutch to see the world. I experienced a mental block again after an unforgettable evening of gastronomic feast whipped up by Chef Matthew at his new hideout called the Rabbit Stash, a fine-dining restaurant bar situated right at the rooftop of Wangz hotel. The first thing that struck me at first was the rabbit candies that many of us used to eat during our childhood years. But what impressed me even more was the originality of his cuisine--a marriage of French techniques and Asian-Singaporean flavours, infused with his passion for food and the aesthetics. With several respectable accolades under his belt, it is humbling to learn that Chef Matthew only switched to a culinary career after his university training in building construction. This Sunrise Global Chef Academy graduate might not have any training experience at Michelin-starred restaurant or with any celebrity chefs local or abroad. But it is his diverse travel and life experiences that make his menu both flavorfully and visually unique. 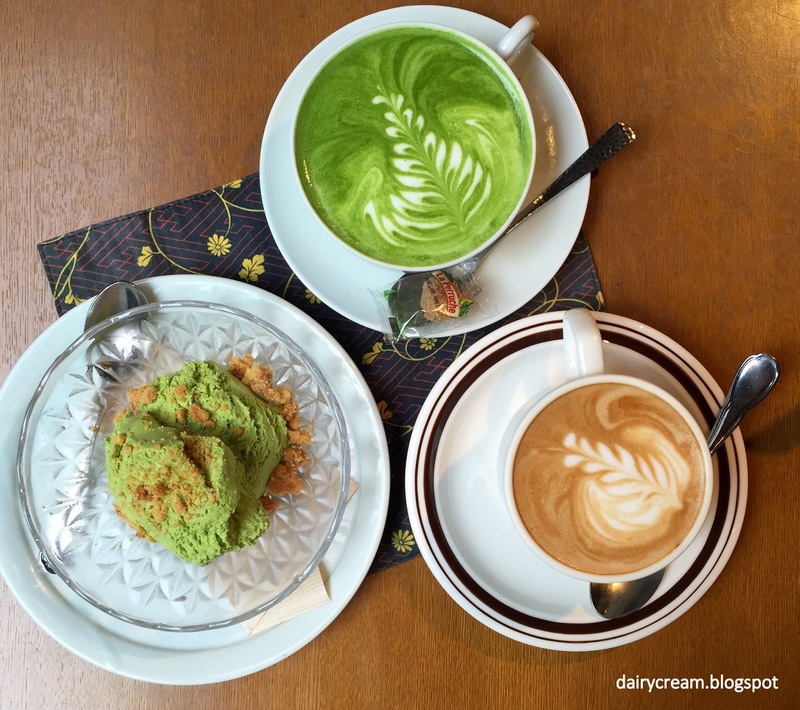 Yes, Kyoto prefecture is NOT the only place for green tea. In fact, Aichi and Shizuoka are also renowned for this popular tea that has gained popularity around the world. Perhaps due to the close proximity to Kyoto prefecture, Shiga has a number of established tea houses that has been involved in the tea business since Edo period. One of them is 千紀園 Senkien, which I happened to bump into when it opened a 2-week pop up store at Kintetsu depato, Abeno Harukas Osaka. This shop started out as an ocha-ya around 1860. Mouth Restaurant : Abalone, Lobster, Bird Nest at only $36.80 !!! I have always been amazed by how Mouth Restaurant could constantly introduce new set menu at jaw-dropping my prices without compromising on the quality. And once again, my recent visit for their 6-Course Gourmet Set Menu testified this. Abalone, lobster, sea cucumber, birdnest, crab....all these included for just $36.80. Unlike traditional abalones that are steamed and drowned in brown sauce, the Chilled Abalone took on a refreshing twist by being served like sashimi on a bed of sizzling dry ice. The pristine white 4-head abalone tastes very sweet on its own with a dab of wasabi and soy sauce. A trip to Kyoto would always feel incomplete without trying the tofu and yuba. I wanted to check out the historical tofu establishment Okudan but went to Omame-Ya instead since Okudan doesn't serve any meat. Komame-ya is not the oldest tofu restaurant but is one of the four restaurants by Ueda Yuba, a tofu supplier in Kyoto. Besides the elaborate multi-course menu, there is a whole list of ala carte dishes that is incorporated with tofu, yuba or both. Most of the dishes here are not mind-blowingly delicious but at reasonable quality for the price. In fact, some dishes stood out for its unique texture and flavours. For instance, the Komameya Salad (¥820) contains plenty of crunch from the bits of fried Yuba and tangy Caesar dressing while the Baked Chicken and Eggplant in Miso Cheese(¥820) is simply divine beyond words. Many people often ask,"What is the last meal you want to have before you die?" A more meaningful question would be "What is the dish you want to eat on your birthday?" 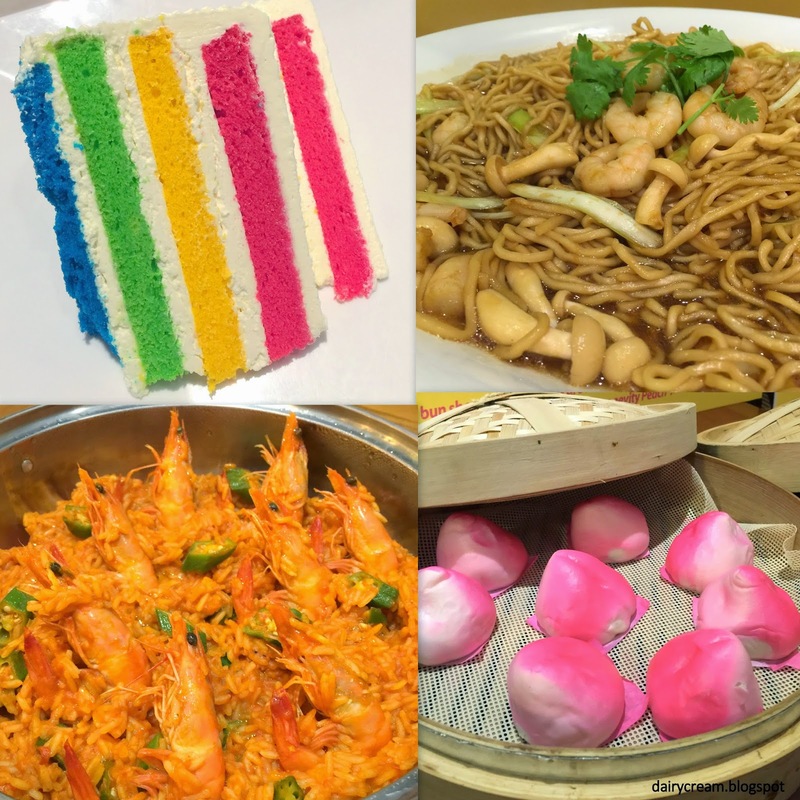 In conjunction with their 4th anniversary in Singapore, Todai presents an array of birthday dishes from mainly China, Korea Russia. I was surprised that Longevity Bun and Yi Mien Noodles are served instead of mian xian (vermicelli) and red eggs because the former are usually eaten to celebrate the birthdays of elderly people. It might be good to bring the pioneer generation here to try the promotion. Most of us don't take breakfast too seriously especially on working weekdays but not for my father who takes his meals regularly. This is also a good thing when we are traveling together as we would wake up early to have proper quality breakfast. One good place that I would highly recommend for breakfast is Iyemon Salon, a modern Japanese cafe that pays tribute to the history and tradition of tea. Opened since June 2008, the cafe has always been embracing the concept of designing a new lifestyle through the language of tea. Meaning link in Maltese language, Hoqla Cafe is a cafe along East Coast Road that serves western food with an Asian bent. Opened by a young lady and her partner to pursue their cafe dreams, Hoqla also aims to bring people together through food and a relaxed space. Osaka may not ranked as high as other cities in terms of its sweets but there can be some interesting findings if you look hard enough. 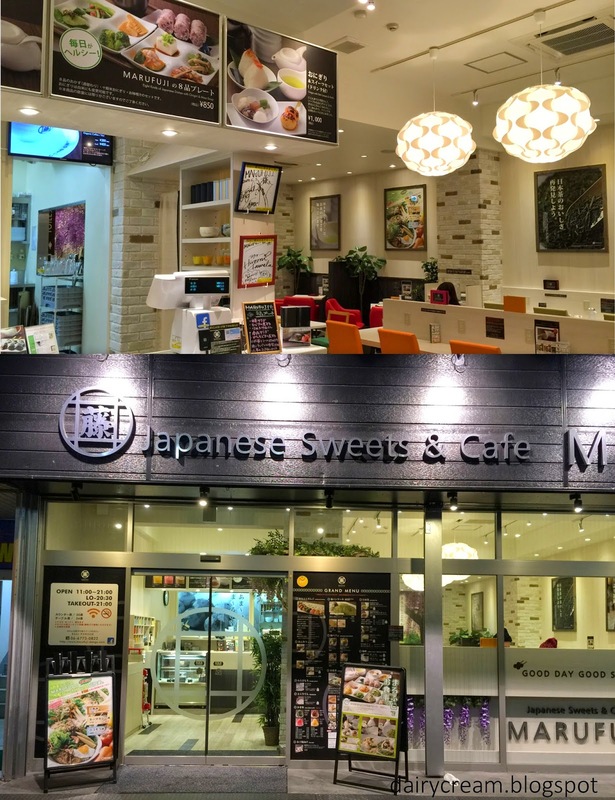 As I scoured through the Tennoji area where my hotel is located, I spotted one modern Japanese style or Wa Sweets Café which aimed to colour traditional Japanese sweets in the style of Western pastries. When you see Echire butter next to a bread counter in a buffet, you know that the place don't stint on basic ingredients. I've read some scientific research findings that say no human beings remember any events in the exact same way. I think this theory is highly applicable for buffet as everyone picked on different items on their plates. At this posh restaurant that turns into a beautiful romantic dining place at night, I would remember three things; authentic Peranakan cuisine, the cold cuts/salad corner, Matcha fondue and one more, the elite Echire butter. Queues for food are a common sight in Japan. 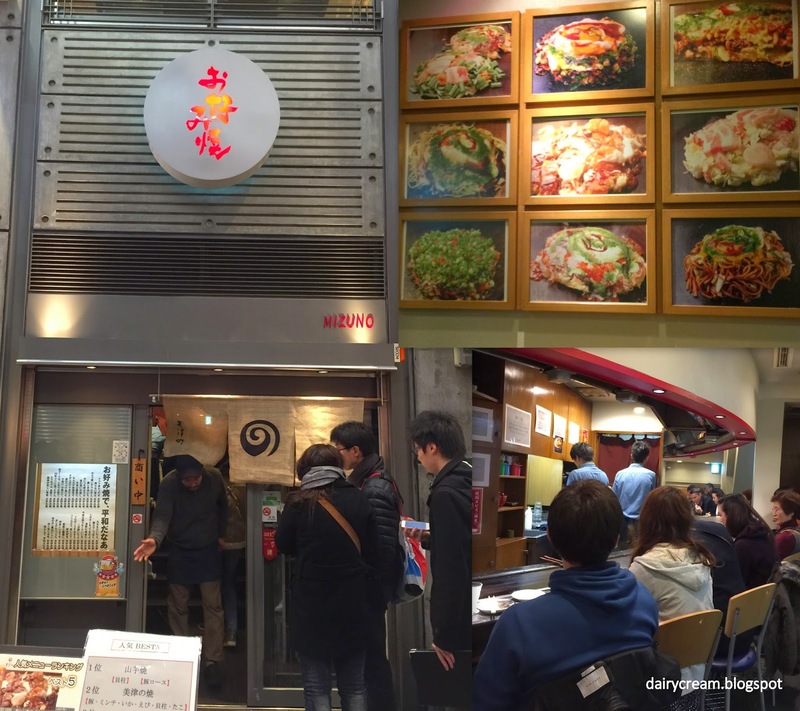 For this 70-year old popular Okonomiyaki restaurant in Osaka, I can say for sure that the regular queues are a result of the limited seats and not because of the food. Another reason is probably the higher rate of media exposure compared to other restaurants. Located in the noisy and crowded Dotonburi, Mizuno occupies two storeys; counter-seats at first level and table seats at the second level. The queuing time was fast for smaller groups of 2 or 3 but for my group of 7 pax, we had to wait more than 45 minutes on a weekday evening. What a shame to have missed out this Tonkatsu gem when I was in Tokyo! Imakatsu, a pork cutlet specialty shop which opened its first shop in Roppongi six years ago and Ginza two years ago, has now arrived in Singapore. Since there was a seasonal special menu featuring Fukuoka's Mentaiko, we opted for the Premium Mentaiko Pork Loin Katsu (180g) for $26.80 that is generously garnished with seaweed and spring onions. While some might worry that the savoury cod roe would overwhelm the natural flavours of the meat, I thought it complemented the meat very well, in fact better than garlic pork loin ($19.80) or the cheese variation at other places. In fact, the Mentaiko makes the pork tasty enough to wean you off the excessive Tonkatsu or sesame dressing. I have been a follower of Yamashita's san cakes since he was at Glacé. He moved on to Flor Patisserie later but little did I expect that he have set up his own shop when I was merely away from Singapore for only a year. Though locations have change, the taste and style of this Osaka trained patissier has remained the same. For instance, his signature strawberry shortcake still delivered that excellently fluffy, aromatic sponge with luscious super-fresh cream.